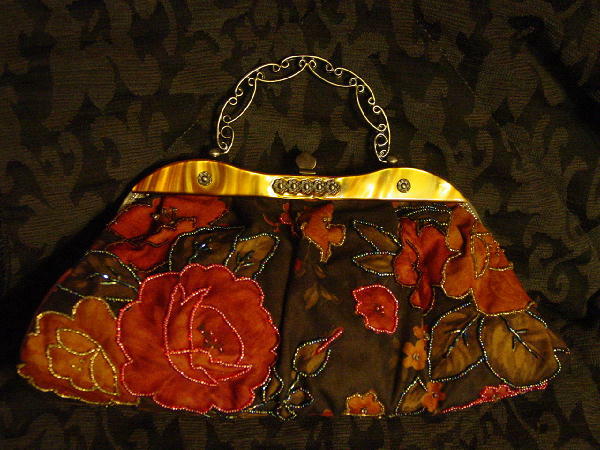 This never-used fabric handbag has a freeform scalloped metal handle in an antique brass color. 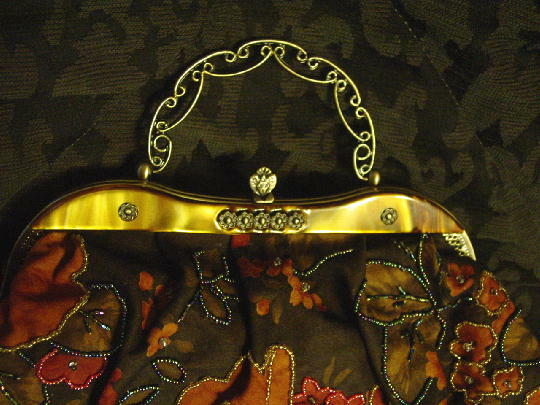 It has a top center elevated metal closure and the upper rim (front and back) has a multi-tone lucite (plastic) accent with a little flower design on both sides. The rest of the rim has a cutout design pattern. 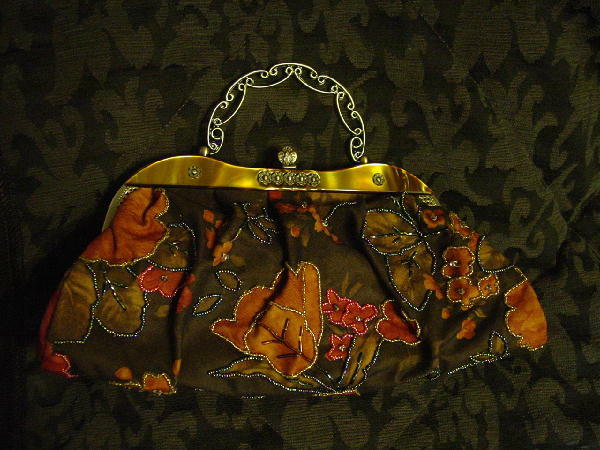 The soft fabric is in a dark brown with a flower and leaf design in light rust, light red, and light brown. The front, back, and bottom have bead accents in brown, gold, red, blue, grape, and green with large clear beads. 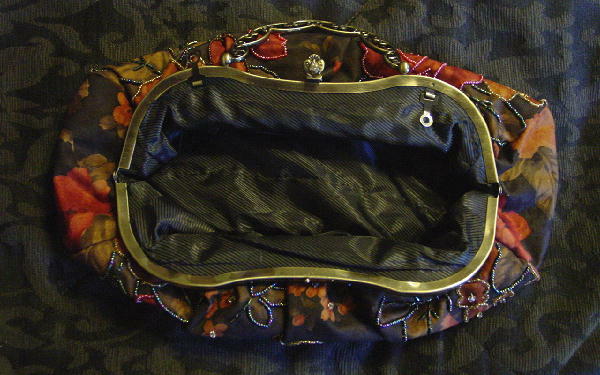 It has a shiny black faric lining with an interior zippered pocket. There are two little interior metal circles so you could attach a shoulder chain (there currently is no chain). It was used as a prop in a magazine photo shoot.